Waste transfer stations are important links in a community's total waste management system. 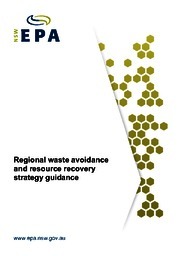 A handbook is available to help councils understand the challenges, opportunities and unique issues of operating waste transfer stations. Waste transfer stations link solid waste collection programs with community recycling centres and waste disposal facilities. These transfer stations play an important role in a community's waste management system by providing an effective way to consolidate and manage recyclables and waste.